Long before FatCat was the renowned independent label it is today, it was a record shop specialising primarily in Detroit and Chicago-based techno and house. Run by Alex Knight and Dave Cawley (still at the helm of FatCat and FCR), plus Andy Martin and Lee InSync, the shop opened in Crawley during 1988, then moved to Covent Garden in 1990. Jeff Mills, Andrew Weatherall, Richie Hawtin, DJ Rush, Steve Bicknell, Robert Hood, DJ Funk, DJ Dion and Slam were just a few keen shoppers who’d buy 12’s whenever in town. With central London then a thriving hub for both record stores and clubs, FatCat soon became an essential destination at the epicentre of underground dance music culture — particularly in establishing itself as a home for the first wave of UK electronica, supporting artists like Aphex Twin, Black Dog, B12 and Evolution. The store closed in 1997, and the record label was born in its place, initially releasing electronic music by To Rococo Rot, Matmos, V/VVM, POLE, Insync vs. Mysteron, Gescom and more, before Alex and Dave’s tastes broadened and moved away from tracks aimed at a club environment. Now in its 19th year FatCat has a firm ethos of championing new and undiscovered artists. With offshoot imprints 130701 Records, Split Series, Splinter Series and Palmist Records, the label has cultivated a diverse and rich catalogue of releases from talent including Max Richter, C Duncan, Sigur Ros, Ian William Craig, Animal Collective, Frightened Rabbit, Vashti Bunyan, Múm, The Twilight Sad, Honeyblood, Hauschka, Dustin O’Halloran and Nina Nastasia. 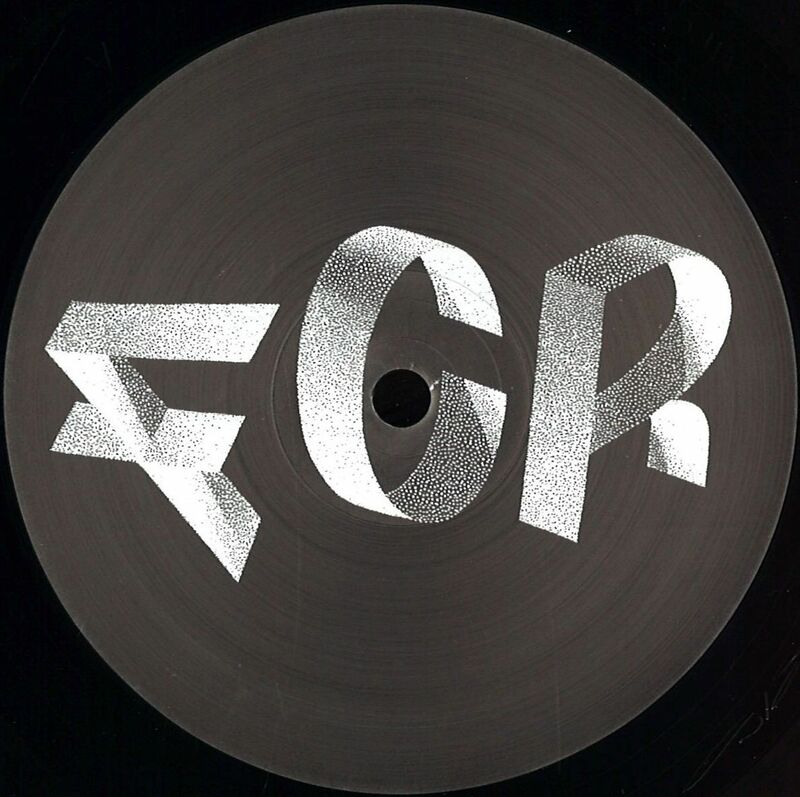 ‘FCR is going to be our label releasing club records that we like. I listen to what we have coming up and although it’s all over the shop — from the driving house of Cottam, to the two step vocal cuts of E&D — it’s all FatCat . Both Alex and I are really excited to be finally releasing club 12’s again. For now neither of us have any expectations — it’ll be small vinyl runs, plus hopefully some parties to share the sounds we like,’ states Cawley. 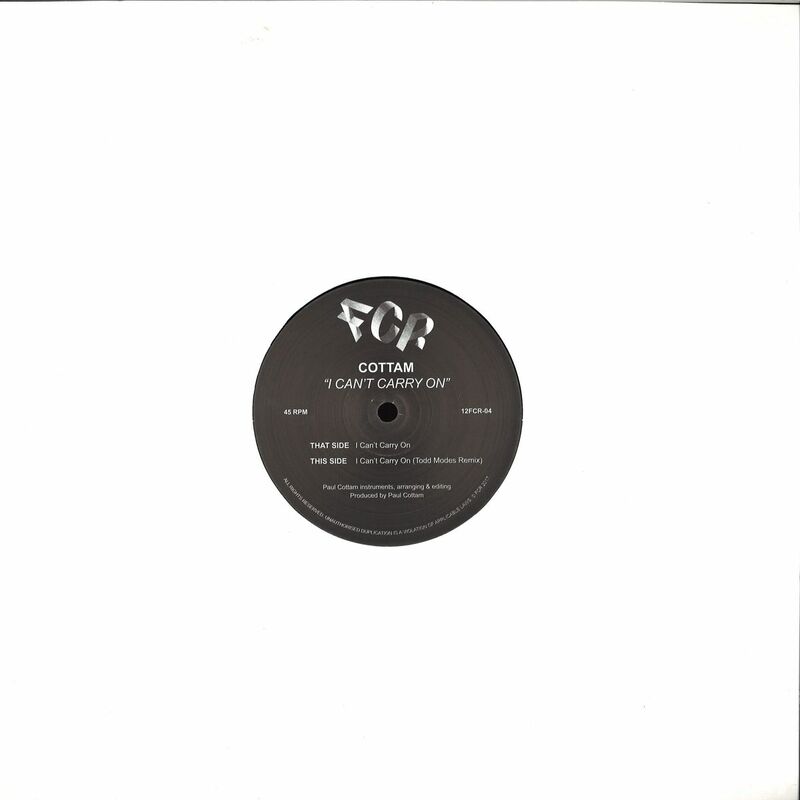 FCR’s first release is the deep future classic ‘I Can’t Carry On’ by Cottam, accompanied by a remix from Detroit’s Todd Modes on the flip. ‘I Can’t Carry On’, is a proper Chi-style-deep-house-classic-in-the-making, whose layers subtly build over 12 immersive minutes. With a raw driving bassline, deep strings and killer underground vocal sample, it stands up easily against early Ron Trent and Lil Louis favourites. Cottam shot to notoriety in 2009 with three limited edition 12″s that blew up the underground deep house and nu-disco scenes with no advertising and no info — combining neo-soul, afrobeat and hip hop with slo-mo house grooves all three sold out in double quick time and ended up in many ‘best of 2009’ charts. Since then, Cottam has concentrated on developing his own style of sub-aquatic acid house — remixes for Luv Jam on Phonica’s label, Pattern Select on Delusions of Grandeur and Morning Factory on 20:20 Vision offshoot Fina have complemented original tracks on Quintessentials, Wolf Music, German undercover label Story and the summer anthem ‘Sunrise Sunset’. The journey continues with his most accomplished tracks yet on the Deep Deep Down EP for Aus Music and a remix for Geoff Leopard on Endless Flight.